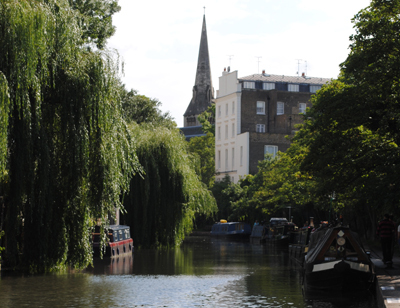 Regent’s Canal in the city’s north. For more on the history of the canal, see our much earlier post here. 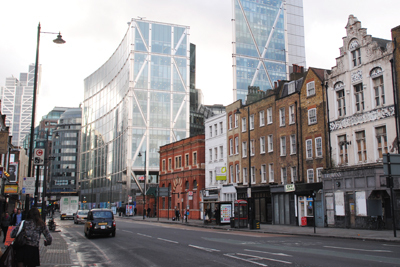 The origins of the name Shoreditch – now a slowly gentrifying area to the north of the City of London within the Borough of Hackney – are lost to time but there are a few interesting theories around. While the name probably comes to us as a derivation of Soersditch or Sewer Ditch – perhaps in reference to a drain that was once here – a more tragic version has it named after Jane Shore. A mistress of King Edward IV in the mid to late fifteenth century, she, so the story goes, was buried in a ditch in the area after dying in a state of penury following a dramatic fall from favour during the subsequent reign of King Richard III (the king apparently had Jane arrested and made her perform a public penance for being a harlot). There was an important priory here – the Augustinian Priory of Holywell – in medieval times and by Elizabethan times, some substantial houses. 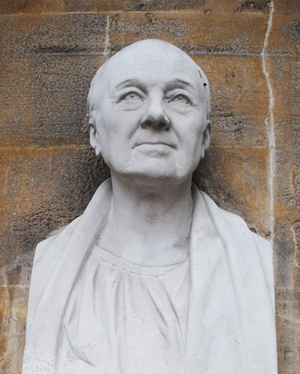 In 1576, James Burbage built England’s first theatre – known as The Theatre – on its site located near Curtain Road. Some of William Shakespeare’s plays were performed here and at the nearby rival, the Curtain Theatre, before a dispute with the landlord in the late 16th century saw the theatre relocated to Southwark in the dead of night (although the foundations must have remained – these were excavated a few years ago). Both Shakespeare and follow playwright Christopher Marlowe had associations with the area. The area, which centred on St Leonard’s Church (while the current building dates from around 1740, there is believed to have been a church here – at the intersection of Shoreditch High Street and Hackney Road – since Saxon times), become known for its textiles in the 17th century and later for its furniture industries. It was still known as one of London’s premier entertainment districts in the late 19th and early 20th centuries with well known music halls and theatres but by then was also just as well known for its poverty. Shoreditch suffered heavily during the Blitz and while the area continues to suffer from urban decay there is now some new life being breathed into it with the arrival of projects as the Boxpark Shoreditch which, made from shipping containers, is billed as “the world’s first pop-up mall”. 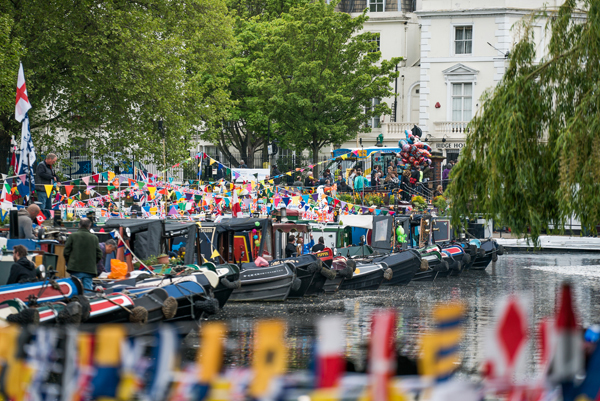 There’s also an annual festival, the Shoreditch Festival, held in summer along Regent’s Canal. PICTURE: View down Shoreditch High Street to the City – © David Adams. Opened in 1820 as a link between the Grand Junction Canal and the London docks in the east, Regent’s Canal remains a terrific way to see another, oft forgotten (at least in visitor terms), part of the city. 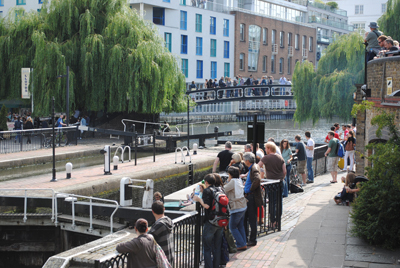 Once at the heart of London’s goods transportation system, the canal is now a recreational and residential precinct. 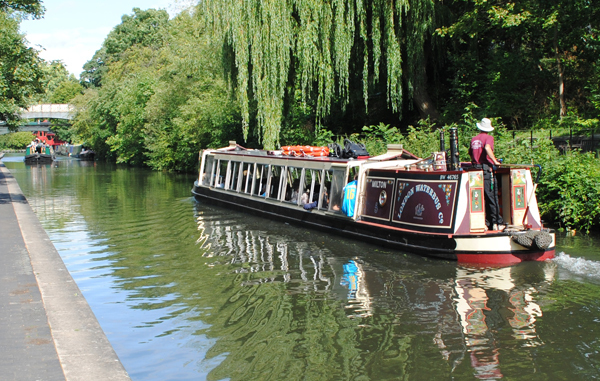 There’s a terrific tow path which runs between Camden Lock, home of great markets including terrific food, and the pool of Little Venice in Paddington – taking in Regent’s Park, canal-side mansions, and the London Zoo along the way. If you don’t want to walk, you can take a boat trip (among those offering trips between Little Venice and Camden Lock are the London Waterbus Company and Jason’s Trip; for kayaking, see Thames River Adventures) along largely the same route (although the tow path takes you over the top of Maida Hill while the boats head through a tunnel underneath). 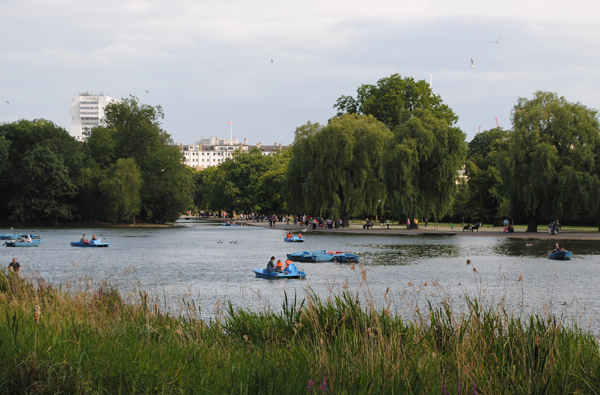 John Nash, designer of Regent’s Park, was one of the proponents of the canal seeing it as nice addition to his park (he apparently originally wanted the route to run through the park but was convinced otherwise thanks to some fears over the language of those involved in steering boats along the canal). He become one of the directors of the company which developed the canal following the passing of an act of parliament in 1812. It was named for the then Prince Regent, later King George IV. 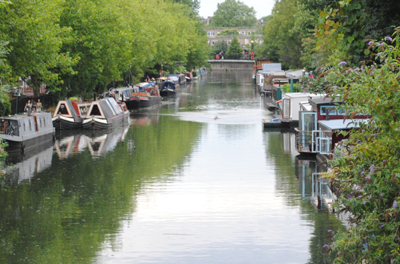 You can find out more about the history of the canal at the London Canal Museum, located further to the east on the Regent’s Canal between St Pancras Lock and the Islington Tunnel. 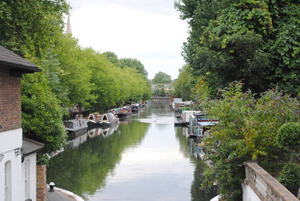 WHERE: While the canal runs to the docks, the journey from Camden Lock to Little Venice is a walk of around 5 kilometres. Nearest tube stations are Warwick Avenue at the Little Venice end and Camden Town at the Camden Lock end; WHEN: Daily, tow path is open from dawn to dusk between Camden Lock and Little Venice (see the boating company websites for trip times); COST: The tow path is free, one way trips on boats between Little Venice and Camden Lock start at around £6.50; WEBSITE: For more on the history of the Regent’s Canal, see www.canalmuseum.org.uk/history/regents.htm.